Saqqara Pyramids excursion is designed for those who like to be off the bitten track, who want to explore more and discover the mysteries of Ancient Pharaonic Civilization. 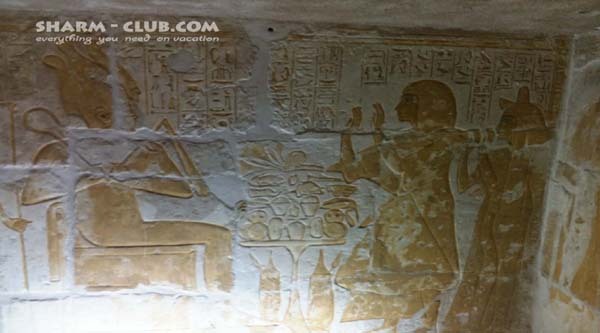 Only in this tour you will visit almost unknown pyramids of Unas and Userkaf, Teti and Pepi I.
Let’s start our excursion to Saqqara by exploring 1st of all a small museum, which is situated at the bottom of the necropolis and is known as Imhotep museum . The museum is dedicated to the history of discovering the Saqqara archeological site and unique findings discovered here. Next we will move up to the plateau to discover some amazing Pharaonic sites. Saqqara, south of Abusir, one of the principal cemeteries of the Archaic Period, was chosen by Djoser, of the Third Dynasty, as his eternal home. It was in what later became the central section of this necropolis that the architect Imhotep constructed Djoser's imposing Step Pyramid complex . This complex is our main attraction during excursion tour around the area. A large step pyramid was begun nearby for Sekhemkhet, Djoser's successor; this structure, which was never finished, lies southwest of Djoser's complex and is known as the Buried Pyramid . Userkaf and Unas, the first and last kings of the Fifth Dynasty, built their own pyramid complexes near Djoser's Step Pyramid. Pyramid of Userkaf is now just a pile of stones while Pyramid of Unas is well preserved and can be visited, fortunately it had been recently restored and opened to public, so now we can not only walk along the pyramid’s causeway but also enter inside it. During the Sixth Dynasty others pyramids were erected in the northern and southern parts of the necropolis, the most important being those of Teti, Pepi I , and Pepi II. Most of these Fifth and Sixth Dynasty pyramids are associated with cemeteries for officials and nobles of the same period, some of whose tombs have beautifully carved or painted chapels. Pyramid of Teti is also accessible and can be visited during any daily excursion to Saqqara. After we explore the Step Pyramid of Djoser with his mortuary temple, let's walk around the temple and see the Pyramid of Unas with its fine causeway. After we can move to another pyramid of the area, known as Pyramid of Teti. We can enter and see how it looks like from inside. There are other pyramids in the area but most of them are either just piles of stones or has no direct access to it for tourists. If you want to know more about other pyramids in Saqqara, please read here.